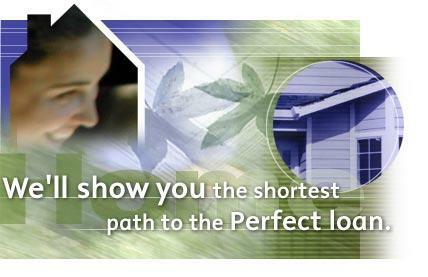 Mango Mortgage Corp is committed to helping you find the right mortgage product for your needs. We understand that every borrower is different, and we offer a variety of products to meet your individual requirements. We make the process of securing a mortgage simple and straightforward by offering you the latest in financial tools that enable you to make sound financial choices. We have access to hundreds of wholesale loan programs. It is our job to locate the most suitable and cheapest loan product for you. We offer 0 point loan options on almost all loan products we offer. Let us use our 54 years of combined mortgage experience to help you find the loan product that provides the most benefit to your particular situation. If you are thinking of buying a new home, or refinancing your existing home, let us help you. Our consultations never will cost you anything. We have also made your loan comparison shopping easier by attaching several large banks websites that post rates daily. Click resources on the top, then click links. You can click any of the banks websites for an instant rate quote. We are confident that we will be able to offer you a competitive quote. Our advantage is we have access to hundreds of banks and lenders, while many of these banks only have access to their own products and prices. We also get wholesale price offerings, verse retail price offering, offered by many large banks today. Mango Mortgage corporation offers a full range of products, from fixed to adjustable. We also offer purchase or refinance loans. Listed below are some of our products. "A Paper"- These are loans typically for people with the highest credit ratings. We will always offer you a 0 point loan option, as well as any other options with different closing cost options. We all hear many of these "no cost" mortgage advertisements on the radio. We can offer a "no cost" mortgage as well. But what they fail to tell you, is these loans often have a higher interest rates to offset the "0 cost". We offer both, and we help explain the benefits of both, so you can choose what really is your best solution for your particular needs. "Alt-A"- This is the next category of loans, that traditionally is easier to qualify for, but may have a price that is a little higher than "A Paper". We offer a full range of these loans as well. "FHA"- FHA or Federal Housing Administration loans are loans insured by FHA. These loans allow low downpayments and are sometimes more leniant on credit histories. However they usually have more expensive mortgage insurance costs related to them. "VA"- These are loans insured by the Veterans administration. They are availiable to Veterans who were honerably discharged from their military service, or current military personel. While VA charges a funding fee, these loans carry no mortgage insurance, have very competitive rates, and actually allow a borrower to purchase a home with no money down. "Non-prime"- This is the new word for the "evil" subprime we all read about everyday. While these product lines have definitely gotten a lot of press as of late, there is a valid product set in this area. Organizations such as FHA, Fannie Mae, and several large banks offer some different products that can truly help people. This is an area where one needs to pay particular attention. This is where we can provide a lot of advice. If done correctly in the right product, at the right price, under the right terms, there are many products that can help people buy homes, or refinance out of other loans with less favorable terms. "Second mortgages"- We also offer a full array of second mortgage products. Sometimes it makes better sense to keep your existing first mortgage, and get a second mortgage. We have fixed term mortgages, or credit lines available. Again 0 cost loans are usually always available as an option. Our goal is simple. We strive to qualify you for the best product, at the best terms available. Then we see if that product benefits you. If it doesn't , we just gave you free advice.